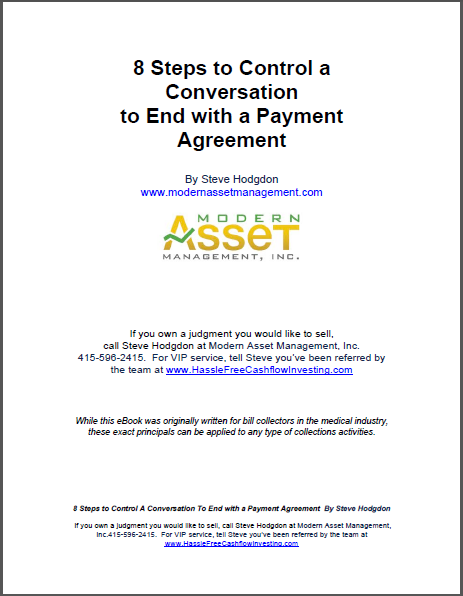 The Modern Collection Call introduces a logical approach to consumers that is compliant, ethical, and effective. It focuses on psychology and true human interaction. While the call may take a little longer, the results are worth the effort. Not only will your collection numbers increase, but your collectors will be happier and stay with you longer. Here are 4 Key points to remember on your Collection Call. For 4 more Key points and to learn more details about each point from the expert in Real Estate Collections, please fill out your name and email above to request this free report.